The Nike Underground, a unique pop-up experience in downtown Vancouver during the Women's World Cup featuring the latest soccer innovations from Nike and the opportunity to take part in a fast-paced, small-sided tournament. 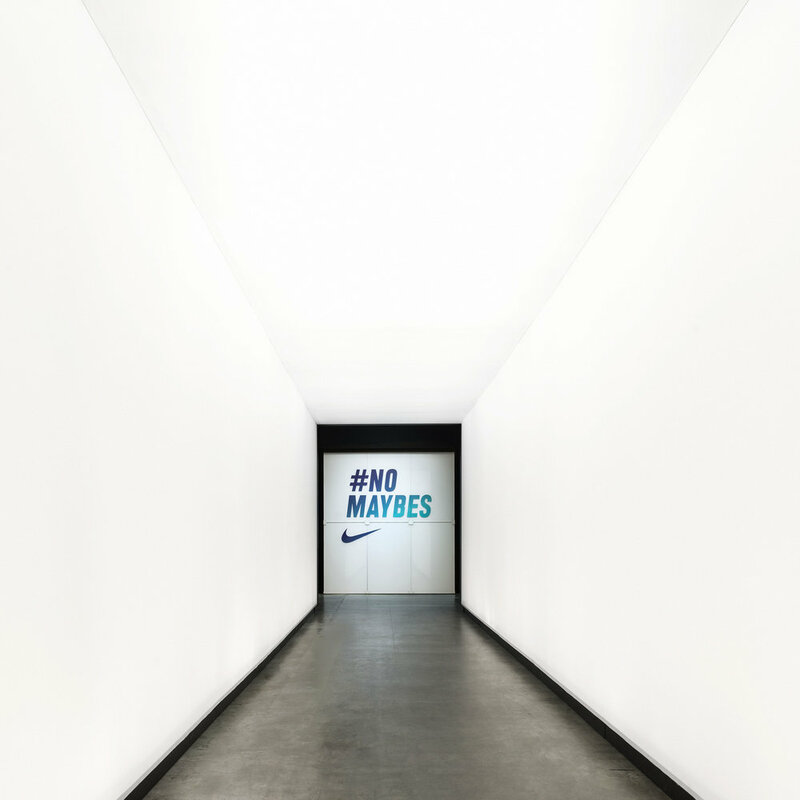 The Innovation Studio features a compelling display of the technology available to 11 Nike-sponsored women’s teams currently competing in Canada — Australia, Brazil, China, England, France, the Netherlands, New Zealand, Nigeria, Norway, South Korea, and the United States. 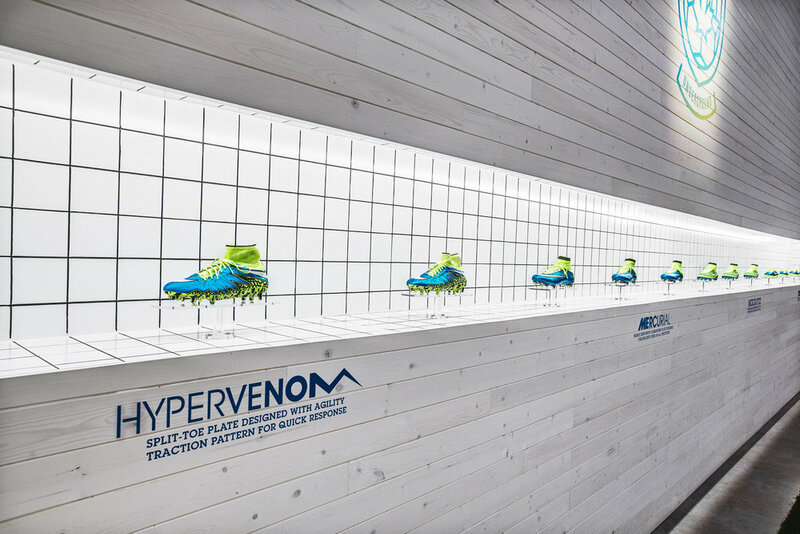 An apparel customization area gave the opportunity to personalize T-shirts, sports bras and federation jerseys. 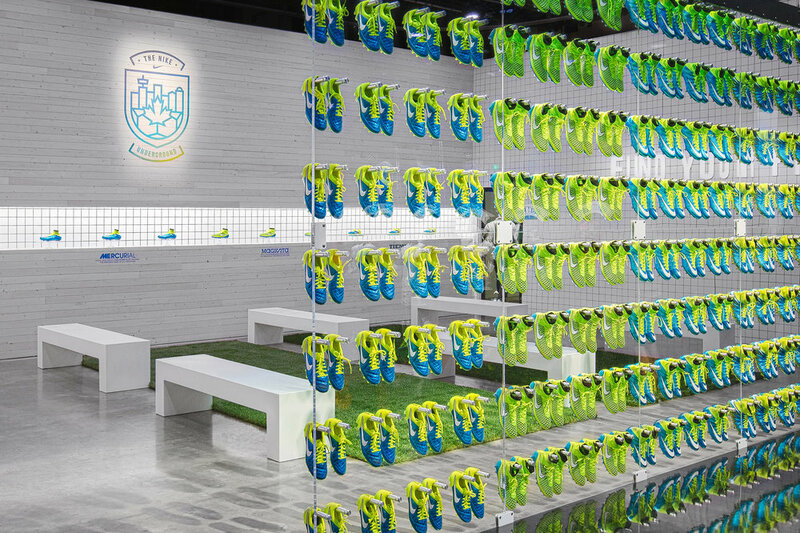 The Boot Room enables trial of the latest Nike boots.